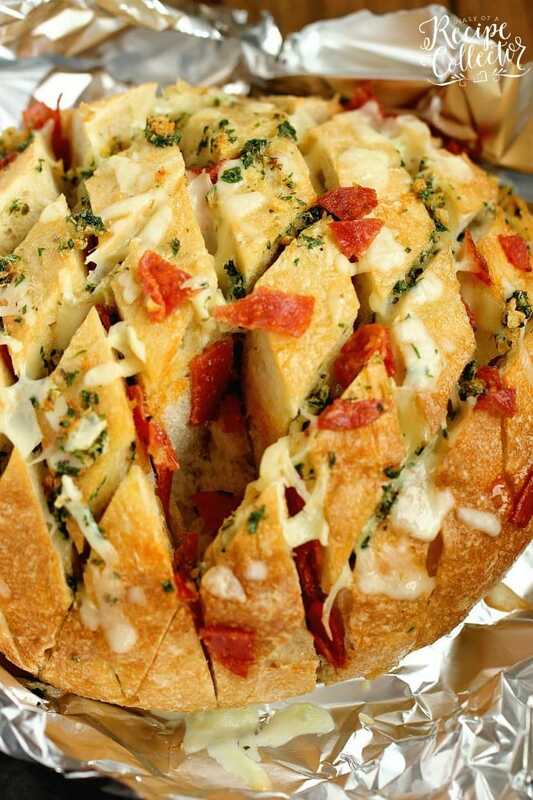 Cheesy Pepperoni Garlic Pull Apart Bread is a packed with tons of garlic herb flavor and makes the perfect appetizer and snack idea! Hello, my name is Jaren, and I LOVE bread. It is my serious food weakness. 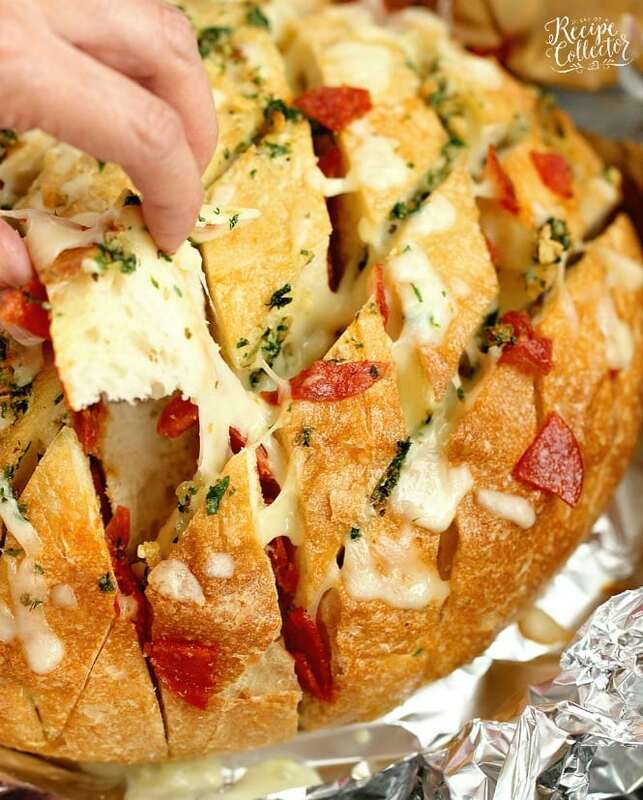 And this Cheesy Pepperoni Garlic Pull Apart Bread is my dream snack. 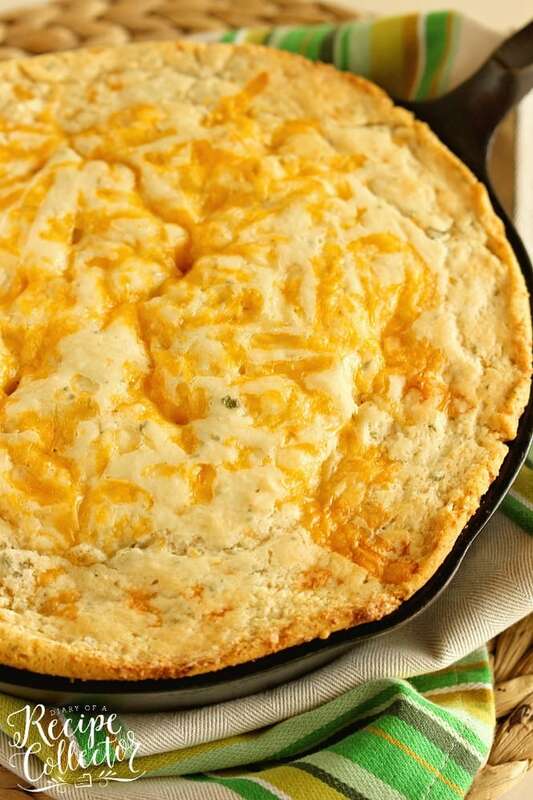 It is total comfort food. And all this Tropical Storm Cindy preparation down here has me craving comfort food. This storm is set to make landfall tonight, and we are smack dab in the center of it. Looking at things right now, we appear to be on the good side of things. We are counting our blessings and saying prayers for those who are going to get the worst of it. We are also grateful this thing didn’t turn into a hurricane. It’s only June. We are at the beginning of the season and have months to go. So all this talk of stormy rainy weather makes me want to make another one of these pull apart breads. It will be perfect for some movie watching or game playing. My kids have the game Beat the Parents, so we will see how it goes tonight 🙂 I’ll probably end up with all four sleeping my room tonight due to the weather. I used a round Italian loaf found in the bakery section for this recipe. 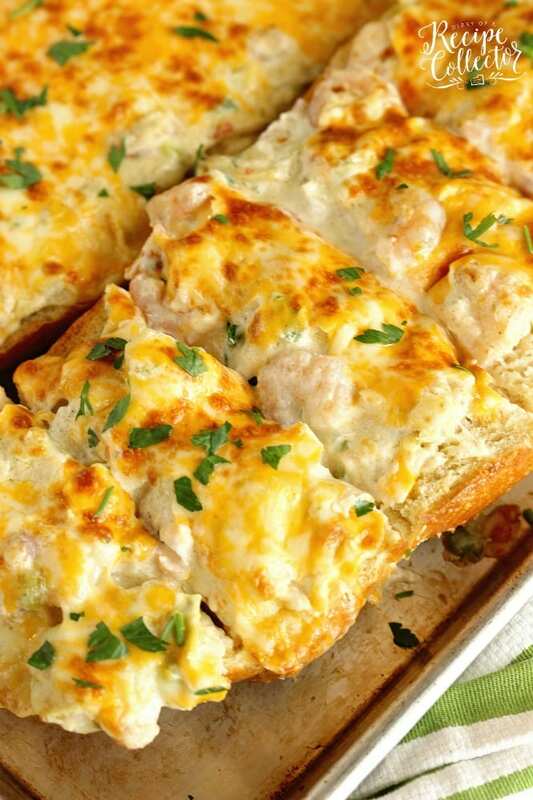 You can also use a french bread loaf as well. Hope you enjoy! 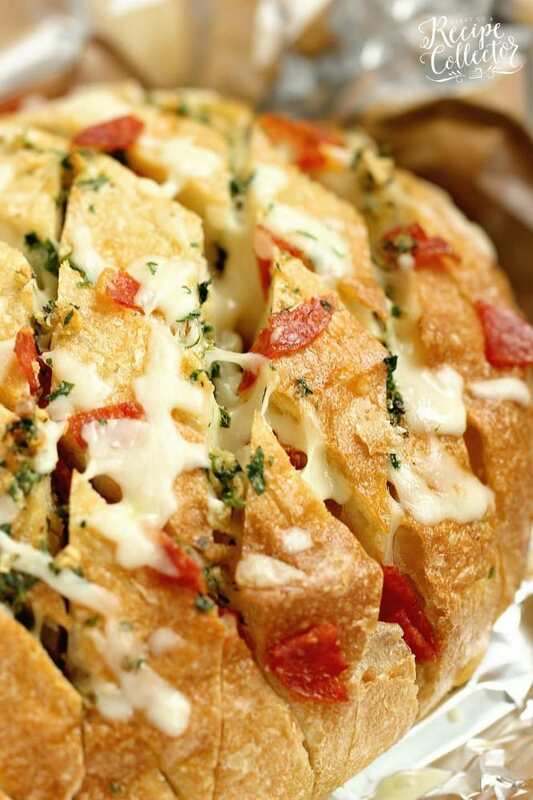 If you like pizza, cheese, and bread (don’t we all? ), then I know you will! In a small sauce pan, melt butter with garlic, parsley, and oregano over medium low heat for about 5 minutes. Remove from heat. Slice bread almost all the way through in 1 inch slices. Turn bread a quarter of a turn, and slice it again. Place loaf on a big sheet of foil on a sheet pan. Fill each crack with cheese and pepperoni. Spoon garlic butter evenly into cracks. 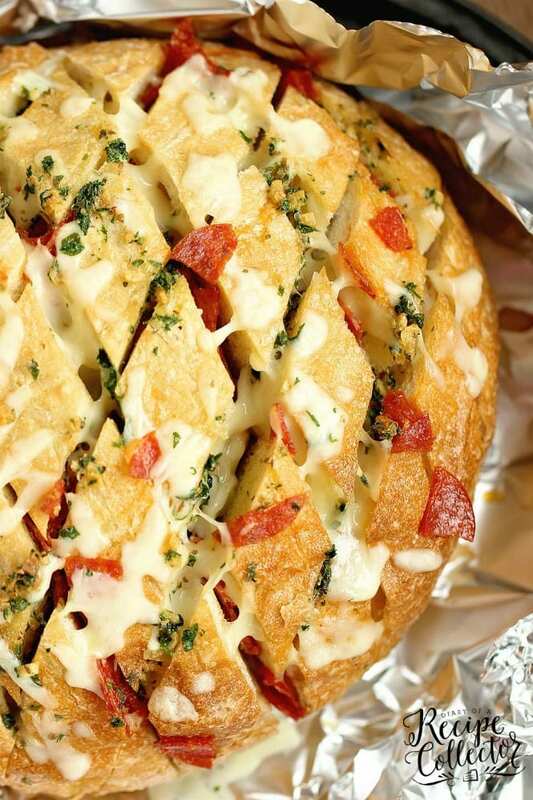 Bring foil up around edges of bread. Don't cover bread. Bake for 15 minutes and serve. 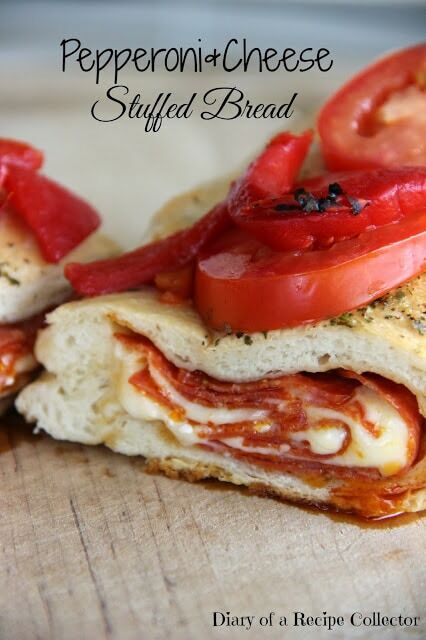 If you cannot find a round Italian loaf, substitute it with a french bread loaf. 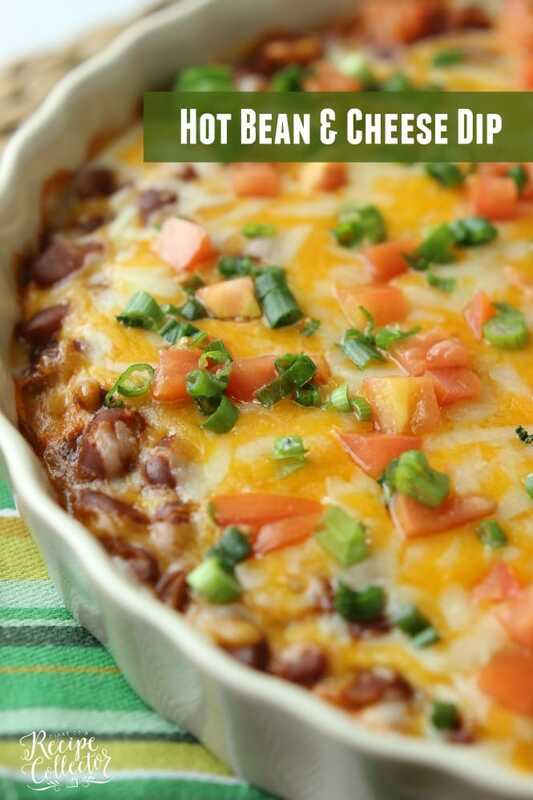 Looking for other delicious recipes?